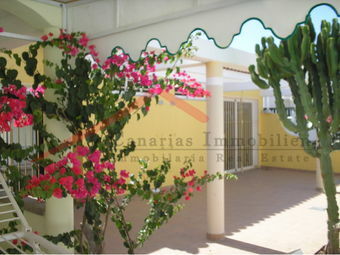 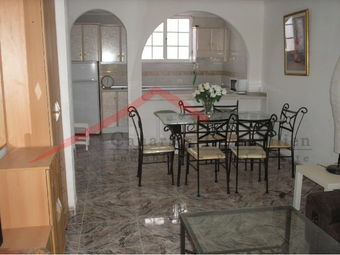 The bungalow complex is situated in a small side street not far from Faro 2 and is in a very good condition. 8 bungalows of 38 m2 each, with one bedroom, American kitchen, lounge, bathroom and terrace. 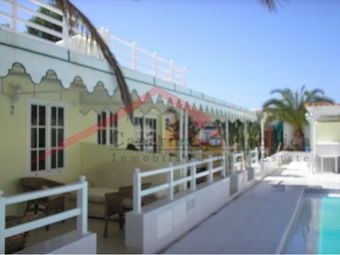 Three of the eight bungalows are not renovated. 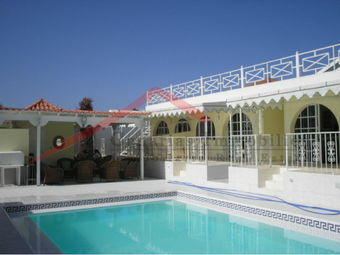 They are built around the pool and offer protection from the wind and views. 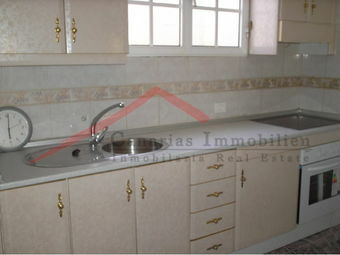 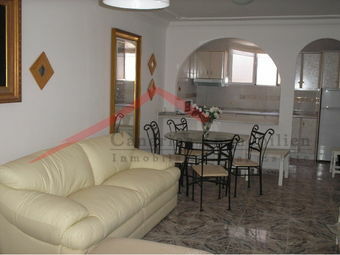 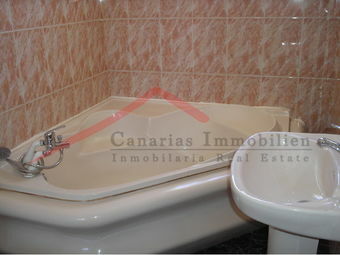 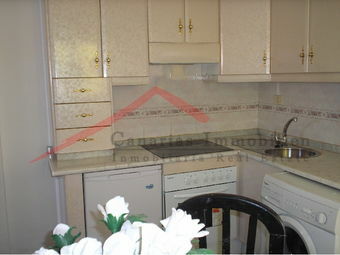 4 apartments, each 60 m2, with 2 bedrooms, American kitchen, living room and bathroom. 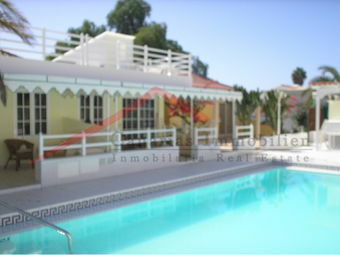 The bungalows have large roof terraces and a large communal pool. 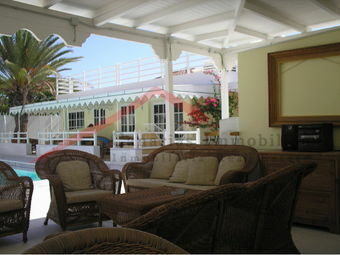 There is also a building on the ground floor which can be used as reception, bar or other common rooms.